Read-out Instrumentation Signpost: Proportional Valves with Digital Communications Interface. Proportional Valves with Digital Communications Interface. 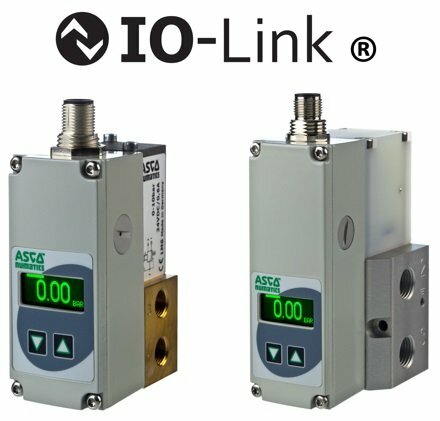 The ASCO Numatics Sentronic Plus (Series 614) and Sentronic LP (Series 617) proportional pressure control valves with the integration of IO-Link® communications to provide cost-effective and reliable control and diagnostics in support of predictive maintenance practices has been introduced. Using IO-Link communications to gain insight into these devices on the factory floor supports future implementation of Industry 4.0 and Industrial Internet of Things (IIoT) applications that will contribute toward greater plant reliability, availability and profitability. These versatile valves enable process optimisation, regardless of application requirements. Sentronic Plus digitally operated pressure regulator valves accurately adjust pressure, flow, force, speed and linear or angular positions. They regulate pressure up to 12 bar (174 psi) and are electromagnetic-compatible according to Electromagnetic Compatibility (EMC) Directive 2014/30/EU. Sentronic Low Power (LP) valves are a highly efficient option for pressure regulation requirements, offering a small footprint, an easy-to-use and modular design, and advanced software capabilities. Their low-power consumption of less than four watts supports applications where power is limited.